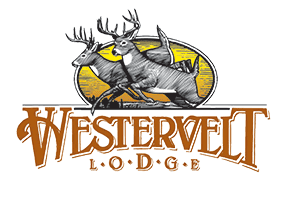 "Westervel Lodge, as run by the present proprietors, exhibits the best example of multiple use on a tract of land by any corporate landowner in the United States to my knowledge. It has experienced the same thing that happened to game during the period from 1700 to 1800 in North America, except that it is on a far smaller scale and rather than being done by accident, in Westervelt’s case it was done with deliberate intent." Chapter 4 Payback 2010 Copyright Tom Kelly Inc.
"Westervelt Lodge is one of the true hidden treasures of the deep south. Sporting history and traditions still exist along the lazy current of the Tombigbee River in west Alabama. Every time I return to Westervelt Lodge, I am greeted by the warmth of the roaring fireplaces and the scents of old time southern cooking. No doubt this is one if the south's last great hunting properties." Being the Least “Avid” Turkey hunter pays off sometimes. I had a Great Hunt with Tim, the Guide.. He was as excited as I was and tackled the bird before I could quit crying from holding my gun up for what seemed like 30 minutes and was actually only 5… Anyway, we appreciate all that you do for us!! Looking forward to more business in the future. Be sure that all the guys at the Lodge know how much I appreciate them. Food was Great!! Lodge is great!! I had a blast!! Thanks again! !